Every dog owner should be very aware of the health of their pet, and should be able to recognize when something isn’t right. If you notice that your dog’s urinating frequently, and drinking a lot of water, as though they can’t quench their thirst, you may have a diabetic dog. Even more disconcerting, your formerly house trained dog may have accidents during the night because of the amount of fluid they’re holding in their bladder. It may be that your diabetic dog cannot make it through the entire night without having to go outside for relief. If your dog is trying to hold its urine throughout the night, they may also become susceptible to a bladder infection. So how does your dog become diabetic in the first place? Diabetes is the result of the pancreas failing to produce insulin. Insulin is what allows sugar to enter the cells to be used as fuel by the body. As a result, the sugar collects and builds up in the blood and is then secreted into the urine. In humans, diabetes, if left untreated, can lead to further health issues such as heart disease, and infections which can lead to amputations of arms and legs. In dogs, the most common side result of untreated diabetes is cataracts and/or total blindness. If your dog is showing signs of being diabetic, they’re probably not feeling that well. They may just lie around a lot and their coat may appear dull. As your dog starts to feel worse, they may also lose his appetite, which will only make everything much worse. Any time that you notice your dog is not “right”, it’s always advisable to take them to the vets for a check-up. Your vet can easily test to see if your dog is diabetic by taking a urine sample to test for glucose (sugar) levels and a blood test which will show how much glucose is collecting in the blood stream. Can your diabetic dog be treated? Yes, there are treatment courses that you can follow that will improve your dog’s health. One of the main and best treatments is to change their diet to one that is much higher in fibre. Fibre slows down digestion and the blood sugar does not spike as often or as high. It may also be that you’ll need to eliminate grains from your dog’s diet, and this can be difficult if you use commercial dog food. You will have to carefully examine all the ingredients on the dog food bag to check for any grains or grain by products before you make a purchase. Exercise is also a very important part of managing this disease. 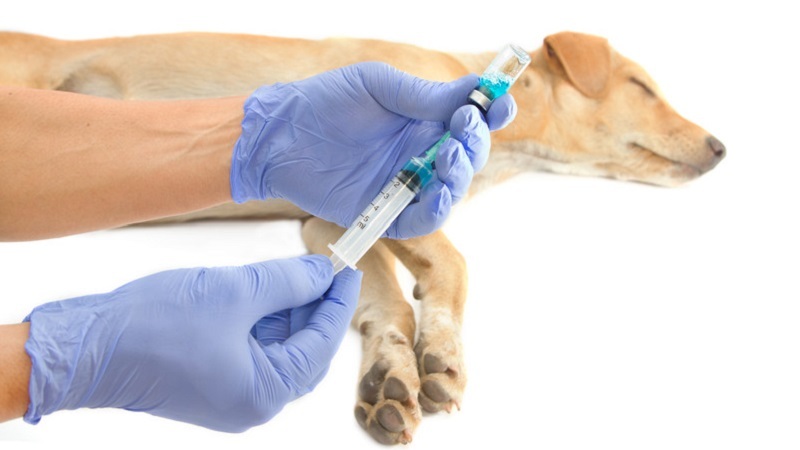 For dogs that are insulin dependent, injections may become necessary, and it takes a very high level of commitment to be able to keep up this treatment. You will need to make time and incorporate this treatment plan into a regular routine, because missing an injection can be fatal for your dog. If you have an extremely busy lifestyle, you probably do not have time to keep a watchful eye on your dog’s blood sugar levels. In this case, you may want to consider finding a new home for your dog, or finding someone to watch your dog during the time when you cannot be at home.